The Visionary Award for this year recognizes the Los Angeles Lakers as well as UCLA for their sustainability leadership in creating cutting-edge athletic facilities that received the Leadership in Energy & Environmental Design, or LEED, certification, which is the environmental seal of approval for buildings. 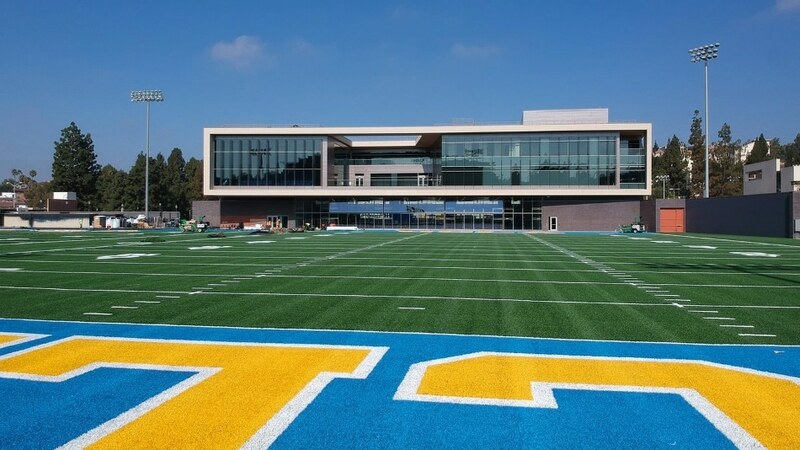 UCLA was awarded in part for two of its training facilities, Mo Ostin Basketball Center and Wasserman Football Center, and both have received the highest rating, LEED Platinum certification. UCLA policy demands obtaining LEED certification for all new construction as part of the university’s carbon neutrality by 2025 goal, and to support the Sustainable LA Grand Challenge, which is a university-wide initiative focused on making Los Angeles 100% sustainable in biodiversity, water, and energy by 2050. The main focus of the football center is on water savings, and hence features a combination of efficient plumbing solutions and graywater management programs leading to a 94% reduction in the discharge of potable water to the sewer, and a 72% reduction in the project’s potable water usage. A major portion of the efforts of the basketball center focuses on reducing energy requirement, ensuring the lighting and mechanical systems were designed in such a way to incorporate the best use of the daylighting and natural ventilation. The outside air is brought into the practice courts at floor level using a wide underfloor duct system, and the warm air is exhausted using low-speed, high-volume fans at roof level. UCLA is honored to receive this award. Our green building efforts led by Todd Lynch and our Capital Programs team are a critical part of our carbon neutrality and sustainability strategy. USGBC-LA has been an important partner in these efforts. We look forward to continued collaboration on creating a more sustainable and resilient future for Los Angeles and the world.